In response to the voluntary Sutur Farms recall, Whole Foods Market is voluntarily recalling products that contain the potentially-contaminated food. 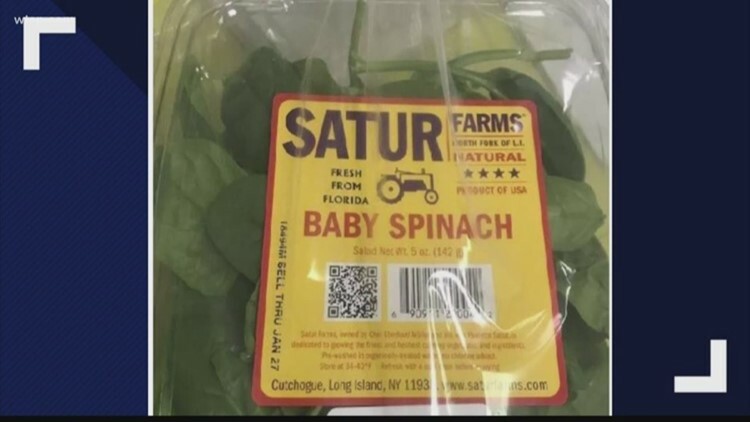 Sutur Farms voluntarily recalled some of its baby spinach and mesclun products earlier this week because it could be contaminated with Salmonella. Now, Whole Foods Market is recalling products that could have been prepared with the contaminated produce. It includes salads, pizza, sandwiches and wraps sold at stores in Connecticut Maine, Massachusetts, New Hampshire, New Jersey, New York, Rhode Island and multiple items sold in Florida. ►You can check a full list of recalled products here. Consumers who purchased items containing baby spinach from the salad bars or hot bars at Whole Foods Market locations in these states should throw out items bought through Wednesday. The U.S. Food and Drug Administration said there are no reports of illnesses.